So as I began this book I really wasn’t sure what I was in for. I expected a good mystery but not like this. 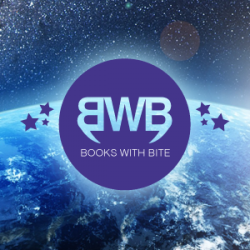 Once I began the story, I was hooked. Plot: This is about a girl who meets two boys and then decides to go on a road trip with them. (I’ll get to more of that later.) During this trip, Cadie realizes that something is off. As she gets further and further away from home, Cadie soon discovers that the boys she met are not all that they seem. So this plot is very intriguing in a, dumb kind of way. I mean, why would you go on a road trip with TWO boys you just met? I get that she wants freedom/space. I get that her life has been hard, but I gritted my teeth when I realized that she made her final decision. And like the good reader I am, I followed her into the unknown. Road trip: Unbeknownst to her, Cadie begins to learn more about the boys. The boys are Noah and Matt, who are cousins, clearly running from stuff as well. I love the slow build up of their stories, the missing persons, the drive further away from home. I have to admit that at time this story gave me anxiety. 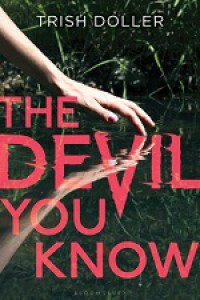 The devil you know: Of course the title is right on. Most of the time, danger is right there underneath your nose. You just haven’t noticed it. I thought for sure I knew what was happening, but that small twist at the end had me gasping,” No way!” I kept reading and loved the way the story came together. Once again, Ms. Doller created such a imaginative, amazing story. My only gripe is that not so smart decision to go on a road trip. But then again, if Cadie didn’t jump we wouldn’t have the story today. If you are into mysteries, definitely get this book.